t*rexes and tiaras: We're going to the zoo..
Last weekend's guiding adventure was a trip to the zoo with the guides, as part of their Kenya challenge badge. 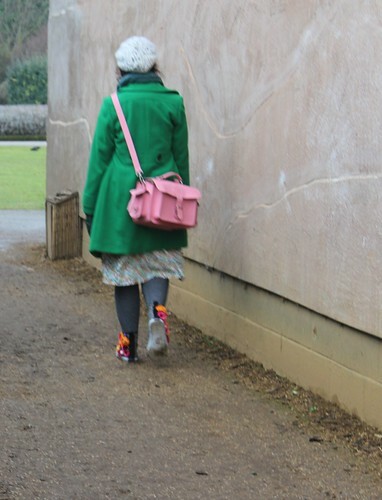 I'm trying to think back and reckon it was probably six or seven years since I last went to any zoo, and more like 12 or 15 years since I'd been to Chester Zoo, which had changed a lot from what I remember. It was a fairly cold day and the girls I was accompanying managed to have a few tears and tantrums between them, which was annoying, but on the whole we had a good day and saw plenty of animals. I'm not entirely sure I'd go again. I liked the butterfly house best, but my photos all turned out pretty blurry in there due to the humidity making my lens steam up. Annoying. 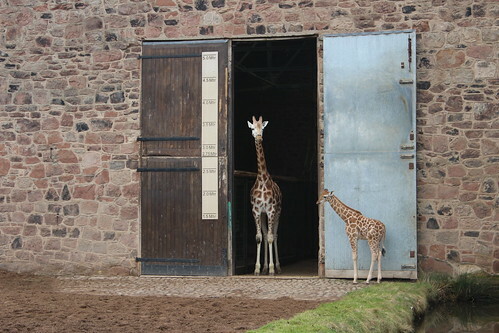 I think the baby giraffe was the cutest! True, it was a change. I love going to the zoo! Any kind of day out with children (Or teens) in tow is never as relaxing as it would be if you were alone! No, that's true. I was pleased they'd made up by the time it was time for the bus home. Oh how strange - we had a spare ticket as well, wish I'd known! I think it's supposed to be a good zoo. My favourite will always be the Welsh Mountain Zoo, though. I love a giraffe, they're my favourites. 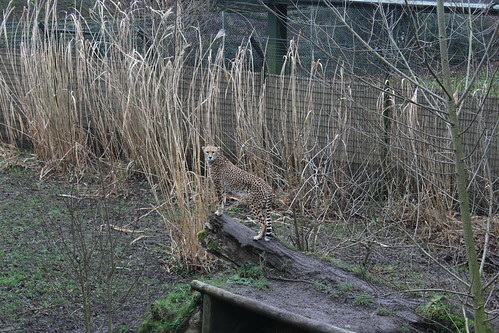 I've been to Colchester Zoo within the last 5 years, it's a pretty cool place. I think they're so cute. Particularly that baby one. 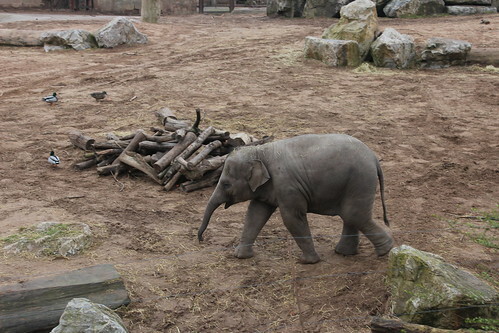 I think Chester was probably the last zoo I went to. 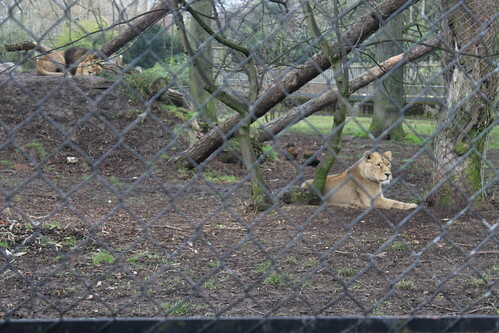 I love the lion enclosures there, they're such majestic looking beasts. Oh, they really do. We found it amusing how they were the centre of everything - it seemed - every way we went, we seemed to end up back at the lions. Awww I love the elephant and lion. I've only been to the zoo once in Edinburgh when I was 10, so quite a while ago! I refused to go in the butterfly house though as I am utterly terrified of moths/fluttery things. Aw, thanks. I'm getting used to taking my camera around with me. I don't know why I like the butterfly house so much when I'm so scared of moths! Do it - I couldn't believe how much it had changed since last time I'd been!